Back in print in a new hardcover edition! Jeff and Danielle were determined to do things differently. So, before the era of “True Love Waits” or the writing of I Kissed Dating Goodbye, they interviewed married couples to discover the keys to a successful courtship. They applied these principles in their own relationship and later, wrote this humorous, heart-warming book. 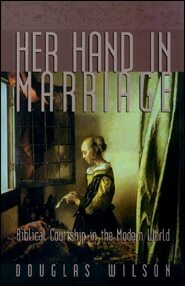 15 years later, they have re-released an updated version of this classic, which has given tens of thousands of young couples honest and straightforward counsel about the best way to prepare for marriage. Is True Romance Possible in the 21st Century? Jeff and Danielle were determined to do things differently. So, before the era of “True Love Waits” or the writing of I Kissed Dating Goodbye, they interviewed married couples to discover the keys to a successful courtship. 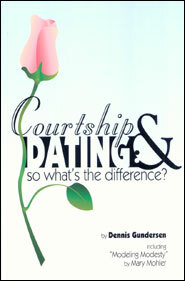 Applying these principles in their own relationship, they wrote this humorous, heart-warming book. 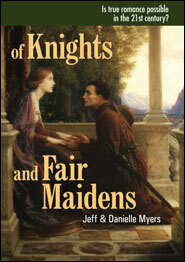 Of Knights and Fair Maidens has given tens of thousands of young couples honest and straightforward counsel about the best way to prepare for marriage. 15 years later, this is an update of the original version, in hardcover. Dr. Jeff Myers is President of Passing the Baton International. He seeks to mentor, coach and disciple the next generation of future leaders in a Christian worldview. He is also the author of From Playpen to Podium; Handoff: the Only Way to Win the Race of Life; and Cultivate: Forming the Emerging Generation Through Life-on-Life Mentoring. Focus on the Family founder James Dobson refers to Jeff as “a very gifted and inspirational young leader.” Evangelist Josh McDowell calls him “a man who is 100% sold out to preparing the next generation to reflect the character of Christ in the culture.” With appearances on Fox News and other media programs, Dr. Myers is a fresh voice offering the insight of a Christian worldview. Jeff and his wife live in Colorado. So You Want to go Back to Medieval Times?